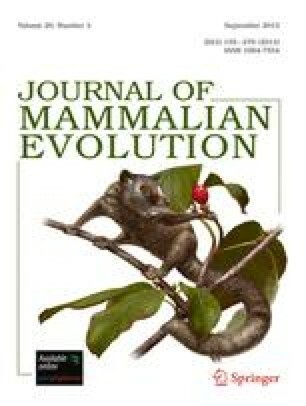 To investigate the phylogenetic relationships of living marsupials, morphometric and G-banded chromosome analyses were made in the Chilean species Dromiciops gliroides (Microbiotheria) and Thylamys elegans (Didelphimorphia). Chromosome arm lengths and patterns of G-bands were compared in at least eight bone marrow metaphase spreads in six and nine specimens, respectively. They were contrasted with those published for another 11 American and Australian genera. Three of six autosomal pairs (A1, A3, and C2) were uniquely shared by Dromiciops and some Australian species, being different in shape and G-banded patterns from those with similar total sizes in Thylamys and other South American didelphoid karyotypes. Such chromosomal correspondences suggest the past occurrence of at least three pericentric inversions. A table of character states constructed from chromosomal G-band comparisons is presented, showing that cytogenetic data agree with Szalay's (1982) hypothesis on the affinities of the South American Dromiciops with Australian marsupials.